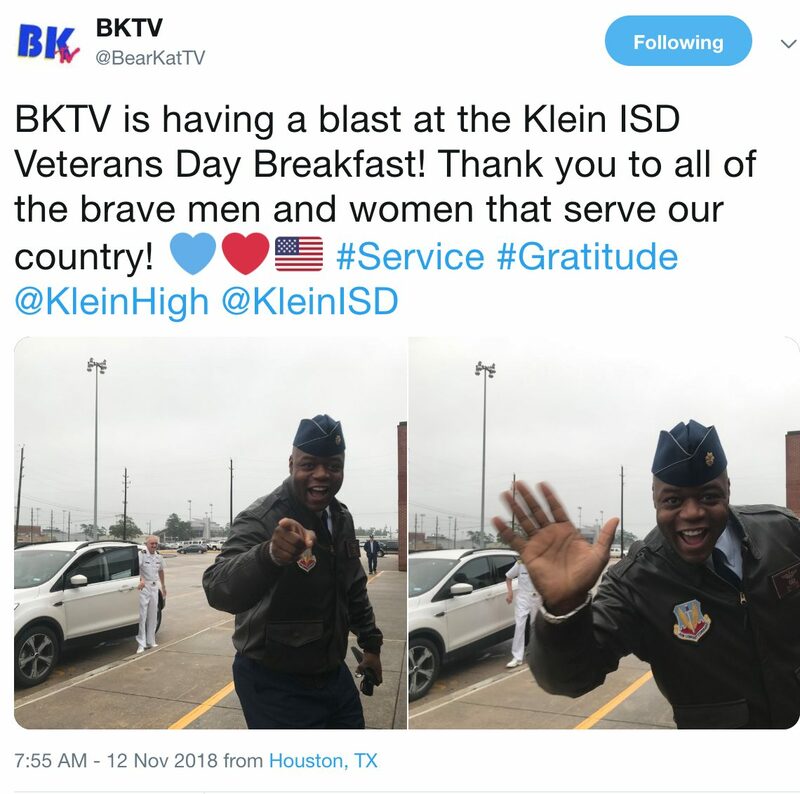 Klein ISD hosted its annual Veterans and Armed Forces ceremony on Monday, Nov. 12, 2018, with a breakfast hosted by Food Services for our Veterans and Service Members in the Kleb cafeteria beginning at 8 a.m. This year’s keynote speaker was retired Lieutenant Colonel D’Hania Hunt, whose 23-year military career included deployments to Korea and Iraq and whose background included receiving a B.S. in Mathematical Sciences from the United States Military Academy at West Point, New York, and an M.S. in Applied Mathematics from Naval Postgraduate School in Monterey, California. Lieutenant Colonel D’Hania Hunt with her parents. 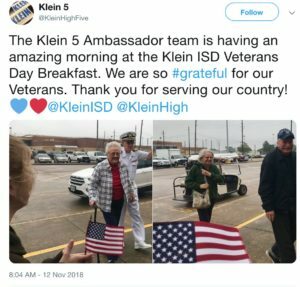 According to Hunt, she came from a military family who has served this country for close to 70 years. 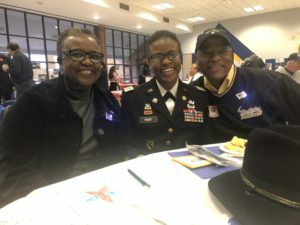 Her father and brother, both veterans, along with her mother, also attended the breakfast. A graduate from Klein Forest High School, Hunt also went to Epps Eiland Elementary and Wunderlich and Klein Intermediate. 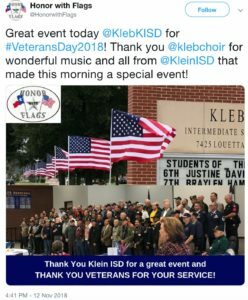 Unfortunately, this year, the Pass in Review Salute at Klein Memorial Stadium was canceled due to inclement weather. 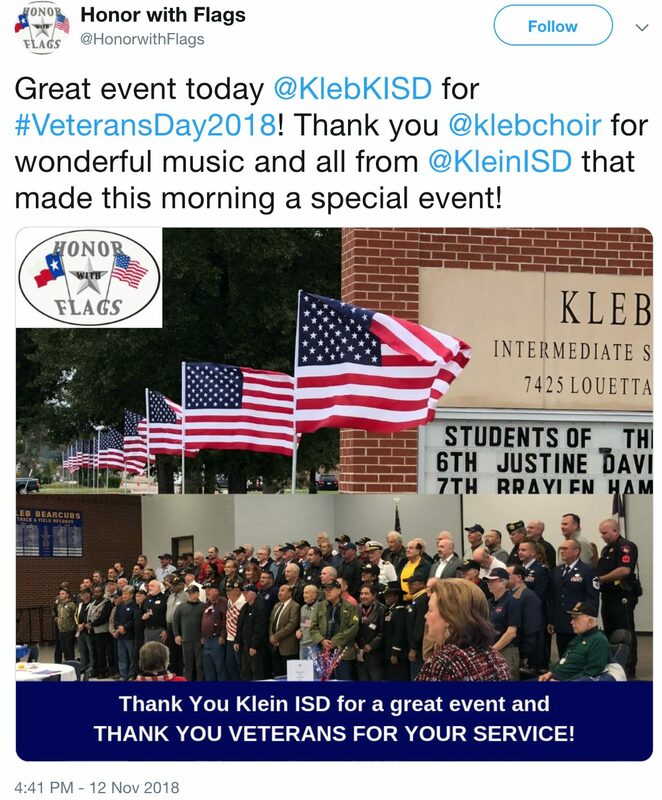 Thank you to the Klein ISD AFJROTC members for their preparation and efforts. 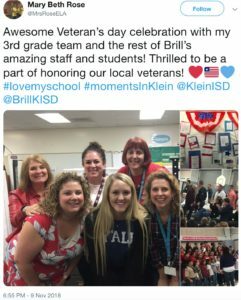 We also take the time to highlight our faculty and staff who have served in the military. 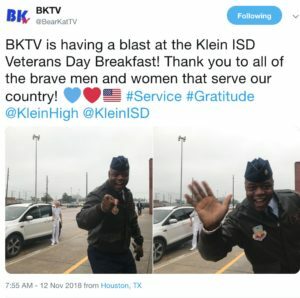 Based on information received by press time, we recognize nearly 100 veterans from across the many departments and campuses in our school district that have served in all branches of the military including the Reserves. 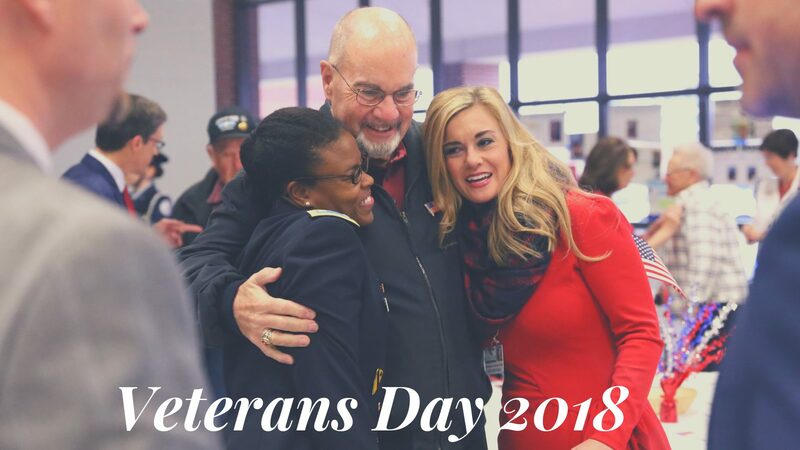 Together, these individuals have protected our country and our freedoms for more than 665 years having served in the Vietnam War, Desert Storm, Operation Iraqi Freedom, Enduring Freedom, and many other notable combat missions. 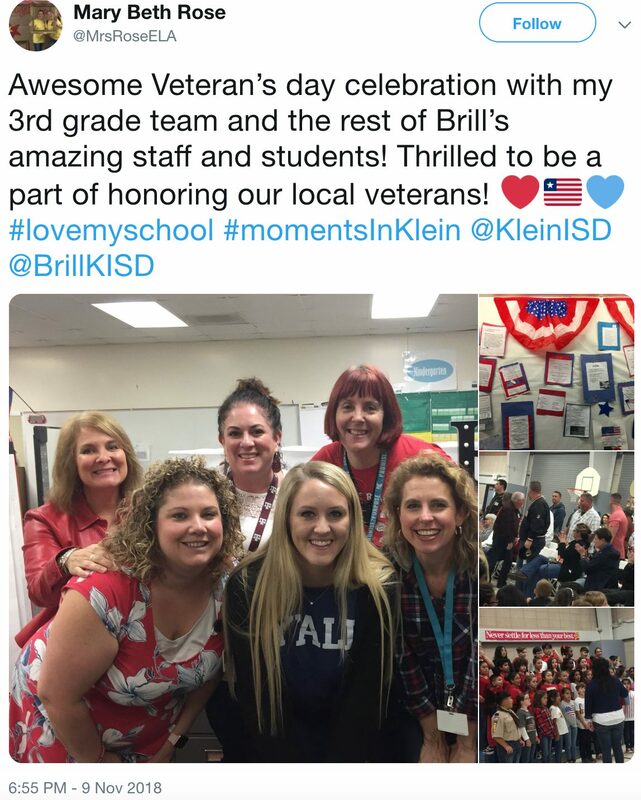 These Veterans and Reservists are now teachers, coaches, bus drivers, police officers, Board members, office professionals, IT professionals and maintenance workers who have served our students for more than 525 years. 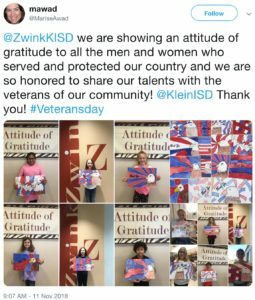 Their pledge to not only serve our country but to continue serving our community and our students is widely respected. 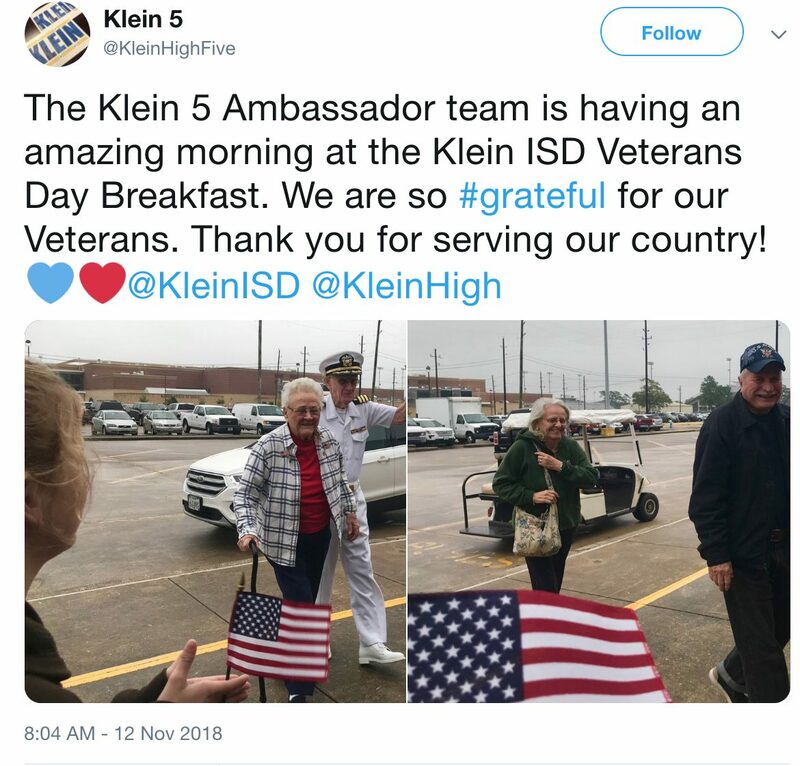 These men and women represent true leadership and what it means to have a serving heart. 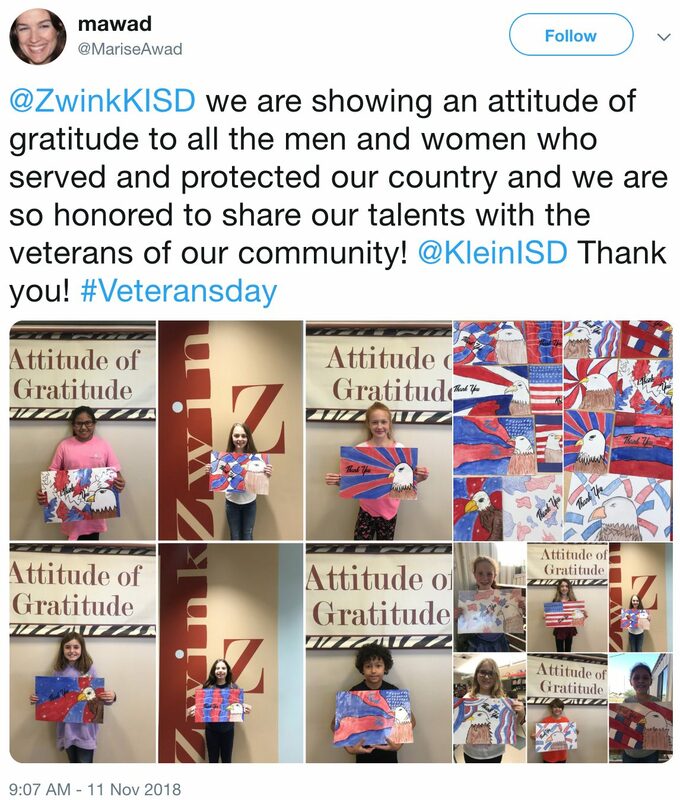 We want to take the time to thank each and every one of these brave men and women for their courage and sacrifice. 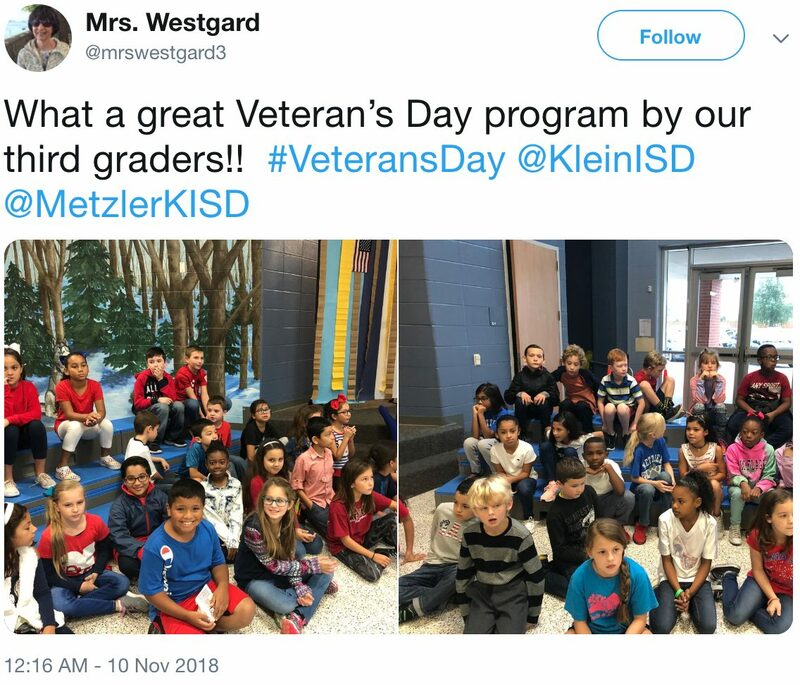 Without their service, our country would not have the freedoms that we all enjoy today.